This week, a friend at a shop I visit saved a couple of books for me to look at. I didn’t purchase the books but I did leave with something that he did have for me but it was in such dire shape that he thought I would most likely turn it down. It was in rough shape and if I purchased items with the idea of re-sale value then this was most likely a loser. But I don’t and it had for me some pluses that I hope you will also enjoy. 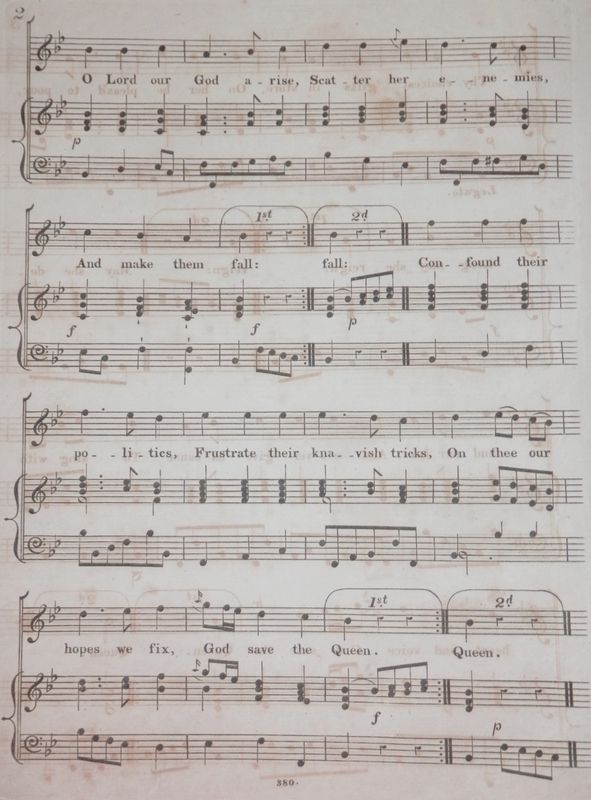 Jenny Jones Welsh ballad composed by John Parry @ 1810? 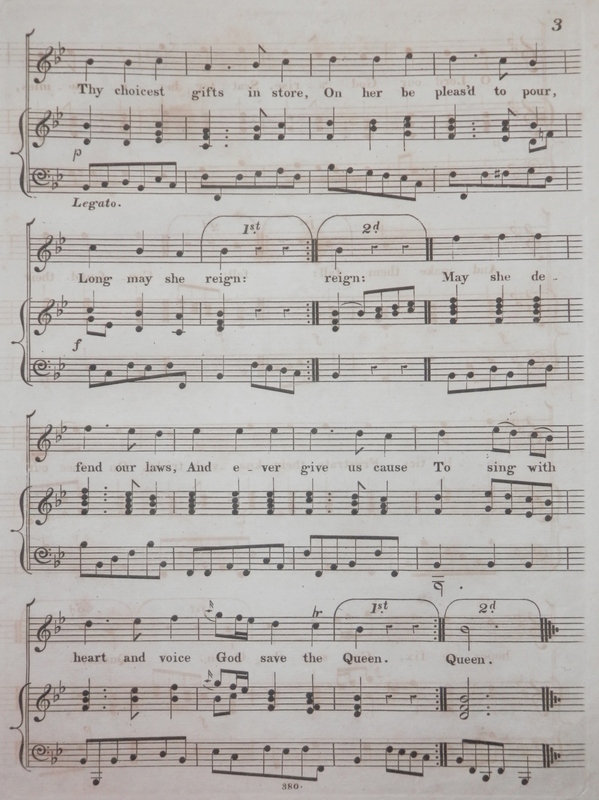 A folio of music, separate pieces bound together. Well loved and oft used as was visible from the rough and torn edges. I must admit that I took this folio not so much for the music but for several images which were combined with the music. 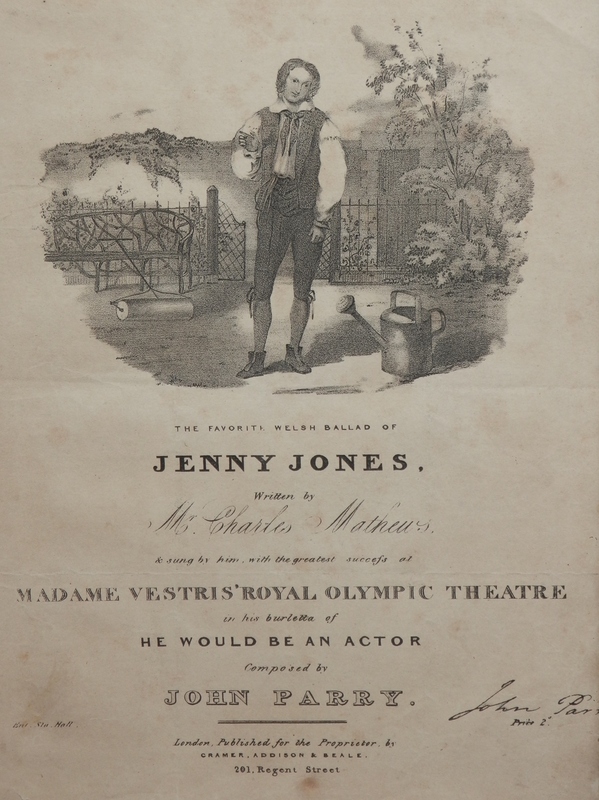 Let’s begin with the edition of Welsh ballad #JennyJones composed by #JohnParry (#BarddAlaw) with lyrics by #CharlesMathews in 1804. The artwork on the cover is unsigned so I cannot credit it but it is of good quality. The other interesting part of the cover is the signature of the composer Mr. Parry. I believe it was etched into the original plate from which the cover was printed. A beautiful piece of music and age has for me made the paper more beautiful. To touch paper of this fine quality, to smell the ink, to admire the artistry of the printer and artists design. 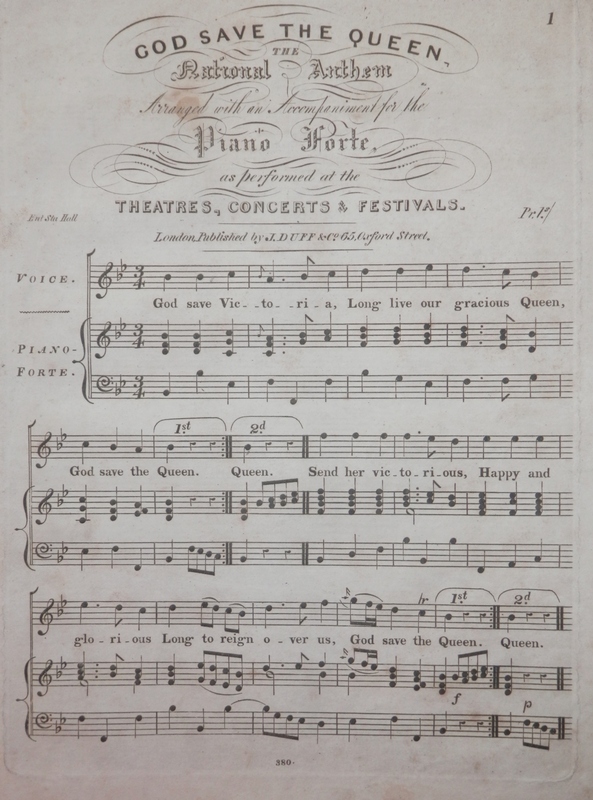 And we will go to a version of #GodSaveTheQueen published by J. Duff around 1837. This would have been published right around the time when the words went from God save the King to God save the Queen. Once again the the quality of the printers workmanship is admirable and I also love that the plate marks are visible on the paper. Enjoy. Some other pieces next chapter. This entry was posted in Printing and tagged ballad, Bardd Alaw, composition, Jenny Jones, John Parry, music, national anthem, piano forte, Welsh. Bookmark the permalink.